At Treadwell Service Centre we can carry out Class 4 MOTS for Cars and Small Vans up to 3000 kg Book your MOT online here straight into our live Diary and you will receive a confirmation email and all you need to do is turn up at the appointed time. All vehicles over 3 years old are required by law to have an annual MOT Test, this is an annual Safety check on the condition and roadworthiness of your vehicle to ensure that it meets the minimum safety level standards. It is always worth performing a few simple Pre MOT Checks to stop your vehicle failing for reasons that could be easily fixed. 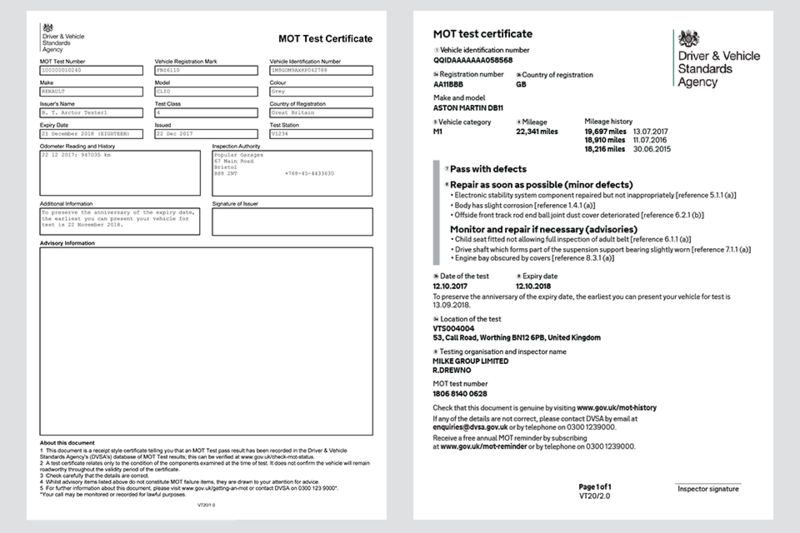 There is also a New Look MOT Certificate which is shown on the right if you follow the link. For any advice or questions about the MOT please call us on 01252 444 647 or complete our contact form.